Home > Shop > Green color handcrafted glass smoking pipe free ship. Green color handcrafted glass smoking pipe free ship. New 4 1/4" long. 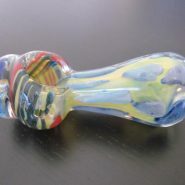 colorful handcrafted glass smoking weed pipe free ship. free smoking pipes screens. This nice handmade glass smoking pipe with little yellow touch of the natural sun. as we enjoy the process of smoking unique glass pipes we love to feel the freedom to joy spirit good pipes with combination of pleasure,fun and happiness. buy me now! and see what i am talking about.